The “Community Action Program” (“CAP”) was established over thirty-five years ago by Congress as a centerpiece of the War on Poverty. The goal of the program, which is now part of the Community Services Block Grant, is to reduce poverty, revitalize low-income communities, and empower low-income individuals and families to become fully self-sufficient. 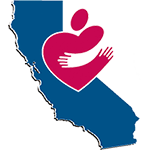 The program is carried out by a national network of over 1300 designated Community Action Agencies (“CAAs”), which provide a diverse array of services to and advocacy on behalf of low-income individuals and families. “We must open the doors of opportunity. In 1964 President L.B. Johnson officially declared a “War on Poverty” and quickly appointed Sargent Shriver to lead a Poverty Task Force that would ultimately shape the Community Action movement. Mr. Shriver presented a “poverty proposal” to Congress that lead to the passage of the Economic Opportunity Act of 1964. President Johnson didn’t stop there; he also created the Office of Economic Opportunity; specifically designed to create and implement programs that would provide services to engage the “poor” and help move low-income Americans toward self sufficiency. Community Action programs were formed across the country and programs such as Head Start and Job Corps were implemented. By 1966 there were more than 1000 Community Action Agencies spread out across the country. More than 40 years later, Community Action has continued to pursue its original mission; fighting the “War on Poverty” by providing “a helping hand not a hand out.” Over 90 percent of US Counties have a Community Action Agency that is focused on serving its low-income residents. Community Action Agencies rely on the Community Services Block Grant (CSBG) to help fund the programs they provide. Since the implementation of the CSBG, budget allocations have been on a roller coaster. Currently the CSBG is allocated at 630 million dollars, which is shared by community action agencies in 50 states and the trust territories. CSBG funds are the backbone of Community Action, but because of the limited amount funds, dispersed to hundreds of agencies across the country, CAAs are forced to find alternative sources to provide services to their communities. Community Action, administered under Community Services Block Grant program, is run by the Administration for Children and Families (ACF), a division of the U.S. Department of Health and Human Services, which oversees a broad range of federal programs that address the needs of children and families. To ease the burden of oversight and administration, ACF created 10 regions. California along with Arizona, Hawaii and Nevada and the trust territories of American Samoa, Guam, and Commonwealth of the Northern Mariana Islands, make up our region – Region 9. Provide opportunities for Region 9 Community Action agency and state association directors and staff to come together and share information, ideas, and mutual concerns. Support the efforts of the Community Action Partnership (CAP) – the national association, the National Community Action Foundation (NCAF), and other like organizations that encourage, promote and stimulate the development of resources, which demonstrate progress toward the elimination of poverty. Promote professional growth and competence of Region 9 member agencies and associations through training and support. Through cooperative agreements with the Office of Community Services (OCS), a division of the ACF, the purpose of Regional Performance and Innovation Consortia is to support ongoing state, regional, and national training and technical assistance (T/TA) strategies for collaboration, capacity-building, and exemplary practice in the CSBG program and among state Community Action agency associations. Each Regional Performance and Innovation Consortium (RPIC) coordinates regional T/TA activities among state associations with the central mission of ensuring that all CSBG-eligible entities are able to meet high-quality performance standards and utilize evidence-informed service approaches to address the identified needs of low-income people in communities. The Region IX RPIC is represented by the core values of Leveraging, Innovation, Networking, Knowledge and Sustainability, signified by the acronym LINKS, which serve as the foundation for all of regional T/TA activities and have been incorporated into the brand by which the RPIC identifies: RPIC LINKS. RPIC LINKS is administered by the California Community Action Partnership Association and serves Arizona, California, Hawaii and Nevada and the trust territories of American Samoa, Guam, and Commonwealth of the Northern Mariana Islands.